Love is in the air, and Valentine's Day is nearly here. If you're wondering how to honor those who mean the most to you on February 14, there is a way to show you care that can also give kids in some of the world's toughest places what they really love: the chance to learn. UNICEF Inspired Gifts run the gamut from warm winter clothing to help children in refugee camps to the Ready-to-Use Therapeutic Food and vaccines vulnerable children need to be healthy and strong. But if you want to give a gift that will help children feel proud and excited about their future, UNICEF Inspired Education Gifts are essential tools that can help them envision a better life for themselves and their communities. "I love to study science because it is easy for me," says Palunda, who goes to a Ugandan primary school that many children who've fled conflict in South Sudan attend. Palunda wants to become a doctor so he can help his community, which lies in the path of one of the world's most heart-wrenching refugee crises. Although an education is every child's right, the kids below make clear how much joy going to school — and your gift of a backpack, exercise book, pencils and art supplies — can bring. Aia (above) is 7 years old. She and her sister, Zana, 8, love to learn at UNICEF’s child-friendly Makani Centers in the Za’atari refugee camp where they live in Jordan. There are 13 Makani Centers at the camp, where children who've fled war in Syria and Iraq can get learning support along with a host of other services designed to aid in their emotional and social development. A rebel group attacked the Central African Republic village where Myriam (above) and her family lived, forcing them and their terrified neighbors to flee. "They were shooting, looting, killing," recalls Myriam. "We all ran away to the bush." Violent clashes between armed groups have overhelmed the impoverished nation, driving one in four children from home and destroying schools, health care centers and places of worship. Fewer than three in five children finish primary school in CAR, and only 6 percent, high school. The conflict has also made life perilous for children, many of whom have been caught in the crossfire or forced to take up arms. Thankfully, Myriam escaped the attack on her village unscathed and once she made it to safety also made it back to school. "I am glad that I can resume school in a peaceful environment," she says. "I love grammar and history classes." 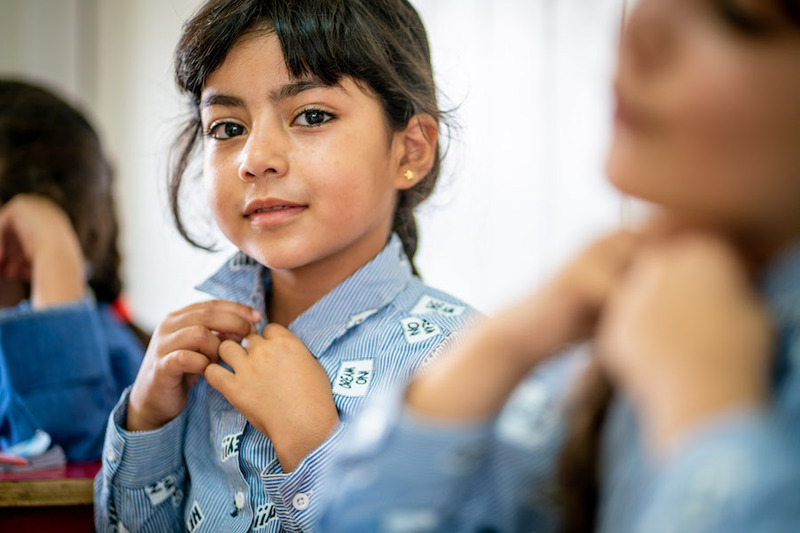 Six-year-old Razan (above) wants to be a doctor when she grows up. Her favorite color is red. Recess is a big reason why she likes going to school because “the teacher plays with us and takes us to the playground. My favorite is the swing!” Playing with LEGO makes her list of favorite things about school, too, but so does learning. “They teach us things in Arabic and in English, how to say ‘hello’ and count 1, 2, 3," says Razan. “I told my mom that I love it." Razan belongs to the first generation of children born in the Za'atari refugee camp to go to school. 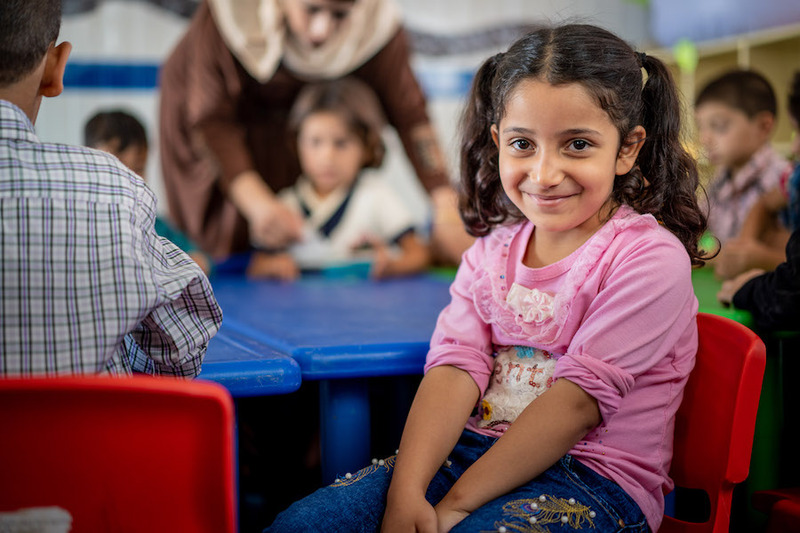 UNICEF works with Jordan's Ministry of Education to make sure that young learners like Razan get the very best start that a quality kindergarten can provide. 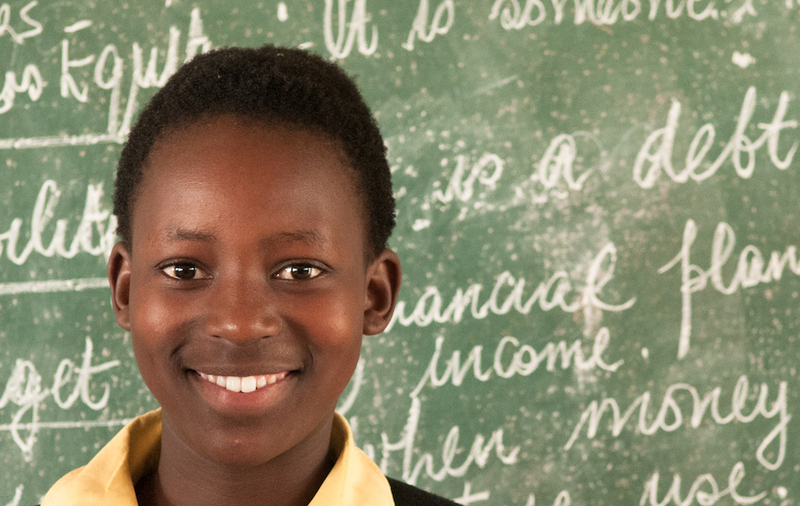 “What I love most of all is to write stories," says 13-year-old Anathi (above). She attends the Bijolo School, which was launched by the Nelson Mandela Institute for Education and Rural Development in Eastern Cape, South Africa, with the support of the Schools for Africa Initiative and UNICEF. The Nelson Mandela Institute works closely with teachers to adapt the curriculum and teaching methods to the needs of rural children. In line with that approach, children are able to learn in their native Xhosa language, giving them a freedom of expression that will facilitate one of Anathi's ultimate goals: "I hope one day to become a writer." One of nine-year-old Faisal's favorite places is the playground at his school in Bangladesh's Khulna district because that's where he plays soccer. "I love to play soccer. I love all the sports," says Faisal, holding his soccer ball, above. "Now that we have the opportunity to play soccer at school, I never want to miss a day!" "We are not just playing soccer," he explains. "We are learning about teamwork through soccer and will be learning more values in future." "I love understanding things that I don’t understand — that's why I come to school," says 15-year-old Hawa, one of the tens of thousands of people from the Central African Republic who've taken refuge in the camps of southern Chad. Although being a refugee hasn't squelched her dreams of becoming a doctor one day, another major hurdle nearly did: her monthly period. 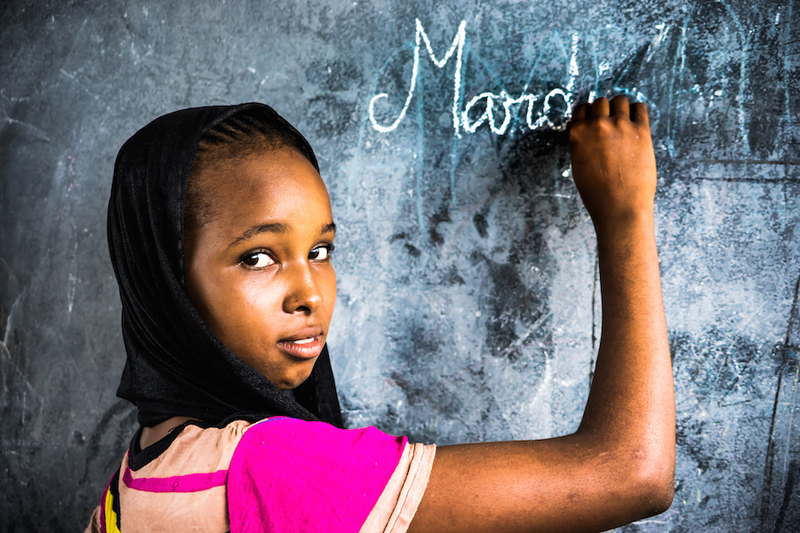 UNICEF is helping girls around the world surmount the obstacles that stand in the way of their education. Something as simple as basic hygiene supplies, such as sanitary pads, can ensure that a girl stays in school and has a chance to make her dreams of a better life come true. Shop UNICEF Inspired Education Gifts to give children the lasting joy of learning. And click here to learn more about how to sponsor a child with UNICEF USA.